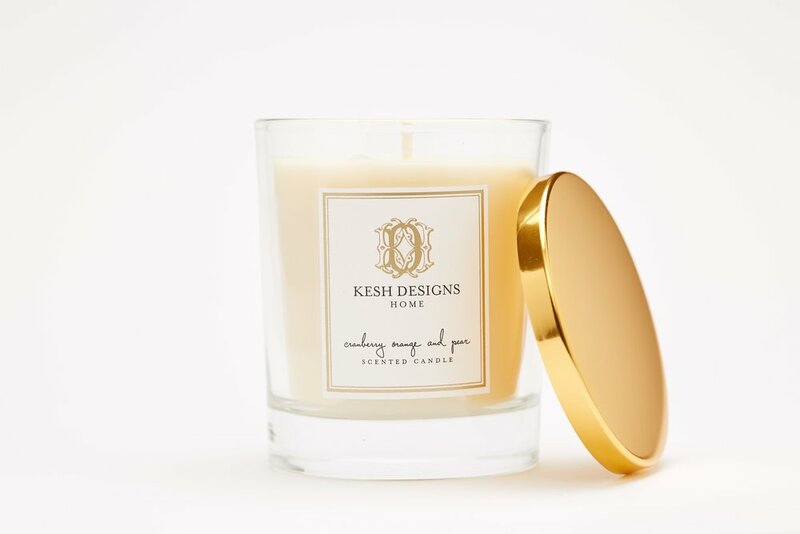 We are so thrilled to announce the launch of our scented candle collection. Add beauty and aroma to your home. Indulge in our luxurious scented candles and let our fine scents transform your space into a refreshing, relaxing haven. Choose from alluring notes of citrus to sweet and effervescent notes champagne. Each piece is beautifully packaged in a glass jar with a gold lid. Each candle comes in a white box and perfect for gift giving or keepsake. They make the perfect gift for brides, hostess gifts, housewarming, mother's day, birthdays, bridal showers and any special occasions. For a limited time, get a custom matchbox with purchase.